The premier girls' youth development program in West Michigan. 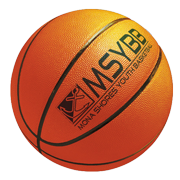 Mona Shores Youth Basketball was formed by Mona Shores coaches, parents and involved community members with one goal in mind. These are the same questions that many parents faced in the past, and finding the answers was sometimes difficult and time consuming. Our goal is make the process easier for parents and players. The best way to stay informed is to Follow Us on Facebook and Twitter.